If you have a store credit in your Catch NZ account, using it is easy! 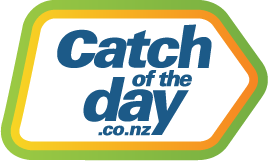 Log into your Catch NZ account and go about your shopping as per normal. Once you proceed all the way to Catch NZ's checkout, you can select to pay with PayPal or credit card and it will show your credit.